TOKYO -- Kobe Steel said it had found a new case of data fabrication at a subsidiary that cuts and processes steel plate. The company also said on Friday that it had found a case of employees not reporting data falsification to a company investigation in its aluminum and copper businesses. 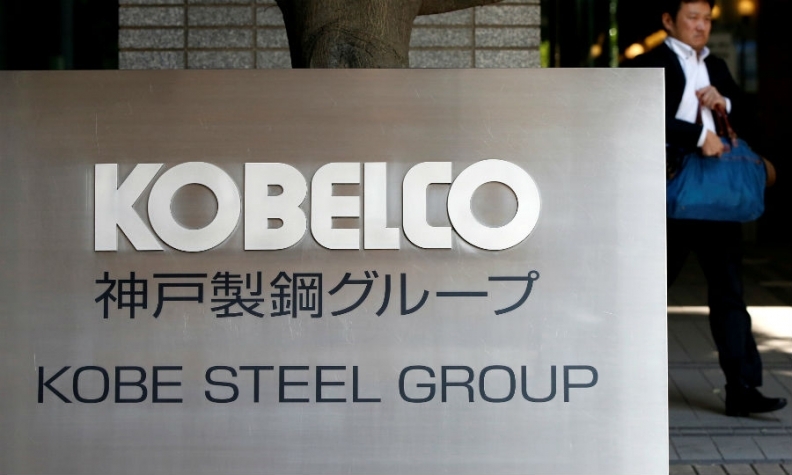 Kobe Steel said it planned to set up a panel of outsiders to look into its problems, in addition to its existing in-house panel. Japan's third-biggest steelmaker admitted earlier this month that it falsified specifications on the strength and durability of aluminum, copper and steel products, along with materials for optical disks. Nissan, Toyota, Mazda and Honda said on Thursday that they had found no safety issues with aluminum parts supplied by Kobe, allaying some concerns that falsified quality data on products from the steelmaker had compromised their vehicles.